Reduces unwanted reflections and flutter echo in critical listening environments. SonoLite absorption panels are designed to reduce unwanted reflections and flutter echo in critical listening environments such as control rooms, live rooms and rehearsal spaces. This 2'x2'x1" panel will clean up the sound in your room, and is a cost-effective alternative to fiberglass cloth-covered panels. 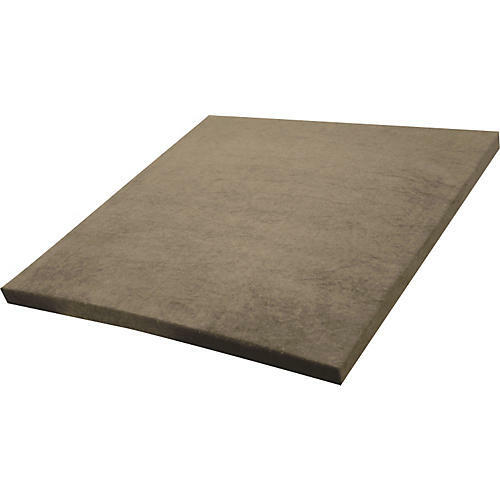 The core of each SonoLite panel is made of highly efficient absorbing acoustical foam, StudiofoamPro. This panel is then covered in a velour fabric to add a stylish appeal to accent the decor of any room. For an affordable yet tasteful way to improve the acoustics in any room, SonoLite absorption panels are the solution. Adhesive materials not included. Suggested materials for installation are: Velcro, industrial strength double-stick tape, or 3M Command(TM) Strips. Choose the number of panels you need to improve the sound in your control room. Order today.